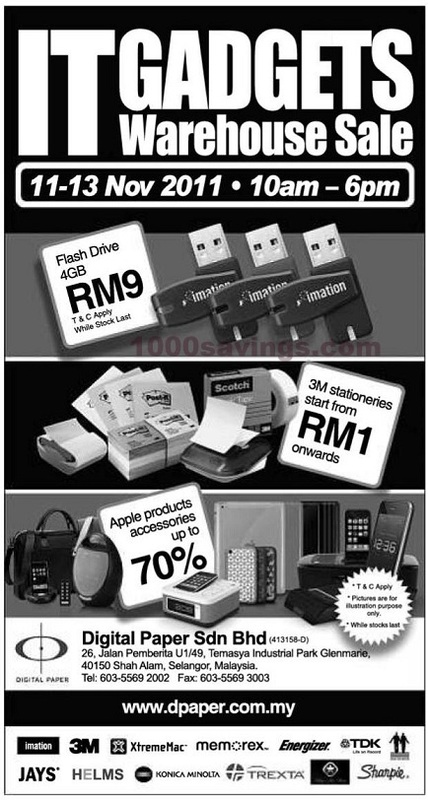 Flash Drive 4GB from RM9! 3M stationeries start from RM1! Apple products accessories up to 70% discount!